Who needs Ryan Seacrest and Maria Carey at a Times Square New Years Eve when you have the Dogulu brothers at the Akmerkez Shopping Center in Istanbul, Turkey? At the request of city officials, organizers threw “Istanbul’s Most Amazing New Year Ever” and invited everyone on a cold snowy night. The two office towers, 14 and 17 stories, were transformed into video screens while the space below was decorated with snow globes and seasonal lighting. 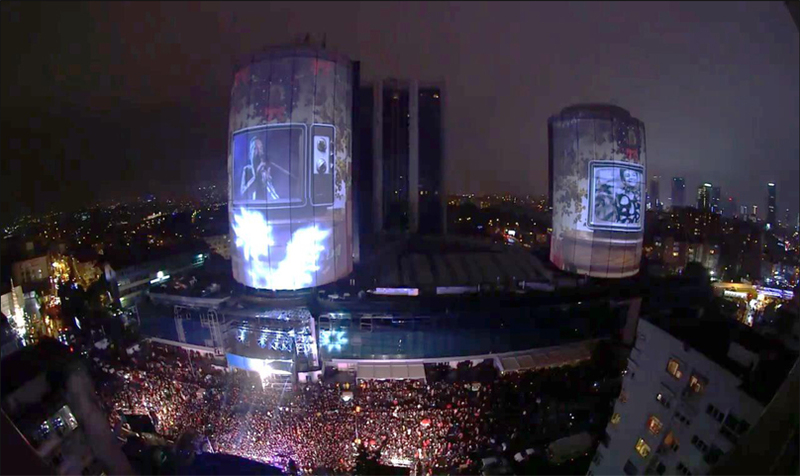 The street celebration drew 20,000 people and was covered live on several television channels. The event gained hundreds of placements in print and online, reaching more than 20 million people.